This Sugar Skull coloring page is a wonderful Día de los Muertos activity as there are lots of details to color including the hair, patterns, and flowers. If you like coloring pages like this, also check out these hair and face coloring pages. 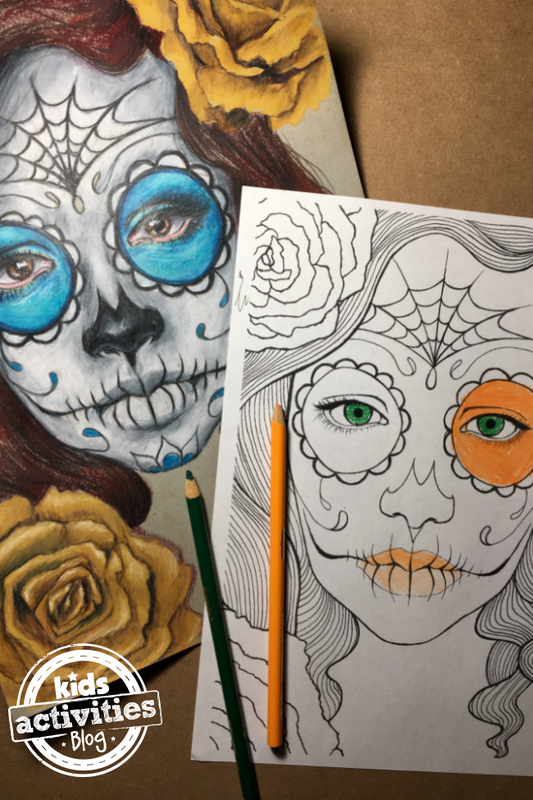 I hope you enjoy coloring this sugar skull! Hurry up here is a most entertaining online fun zone. No need to download this you can play online games learn motivational books and make funny cartoon and more enjoyed with this mind blowing fun zone. You can search any thing for fun. Thank you so much for this amazing fun zone. We know the page is very important.